I was in Bhutan past week. 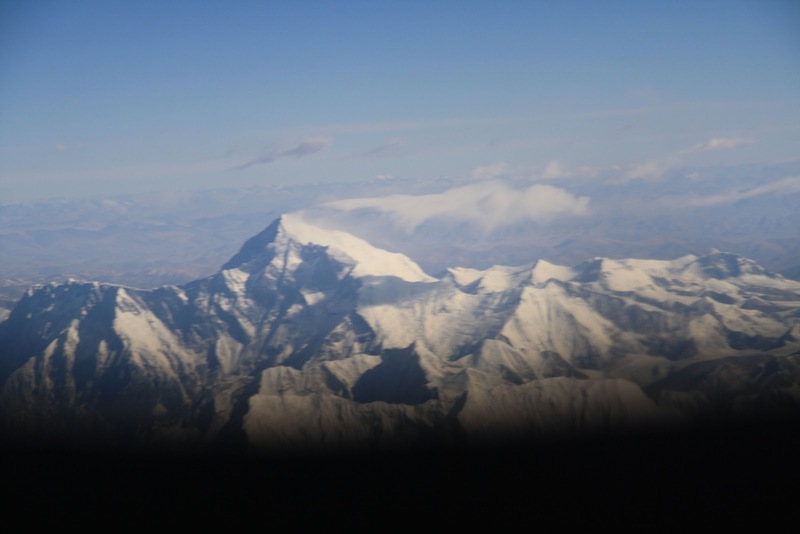 Mostly to check out the famed natural beauty of the tiny Himalayan Kingdom, but also to experience first-hand what I had oft read about – that the Bhutanese were a happy lot. When your son whispers, ” Hey mom, why does our Guide find the smallest stuff funny? He keeps smiling!”, you want access to that secret too. Its fairly common knowledge that the country’s fourth king pioneered the idea of measuring a nation’s progress based on Gross National Happiness (GNH) and not just GDP. However, beyond the policies that promote Sustained & Equitable socio-economic growth, Environment protection, Preservation & Promotion of Culture and Good Governance , there was that ‘factor’ that seemed to keep them more content than most people. 1. Don’t take yourself or life too seriously , get a little irreverent! 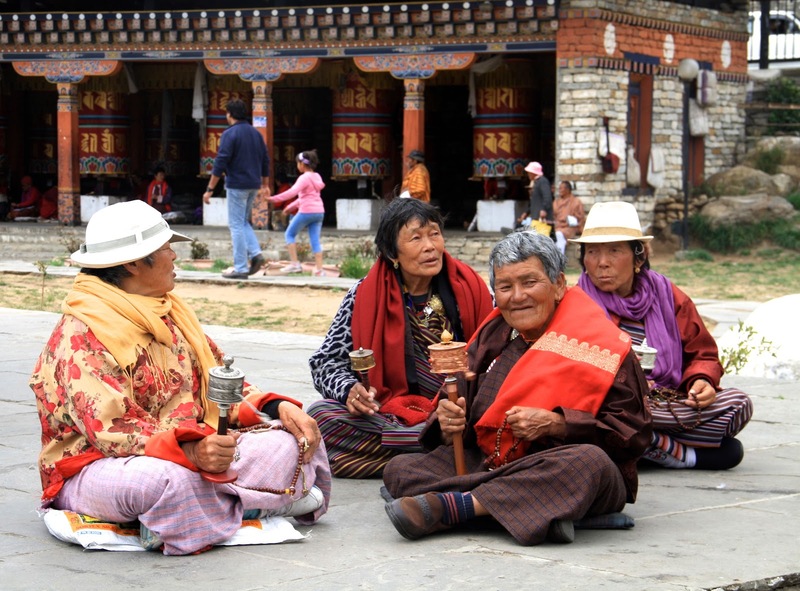 The Bhutanese know how to laugh and they celebrate a bit of irreverence. Case in point is one of their most respected and loved saints -Drukpa Kunley or the Divine Madman. Sexually promiscuous, he was known to guide people through his outrageously ribald and outright shocking methods – a proponent of ‘crazy wisdom’. He is known to have subdued many demons, shocked people out of their sense of self-importance, and set followers on the path to self-enlightenment. Houses all over the country can be seen painted with phalli – an evil eye and good luck charm rolled in one. Another reflection of their quality of not taking themselves very seriously can be seen at the ‘Chaams’, the sacred dance performances during festivals, by monks in colorful masks and costumes , where ‘Atsaras’ (jesters) in bright red masks poke fun at the audience and dancers alike, eliciting hearty laughs from the crowd! Often taught in cities, yet rarely practiced. 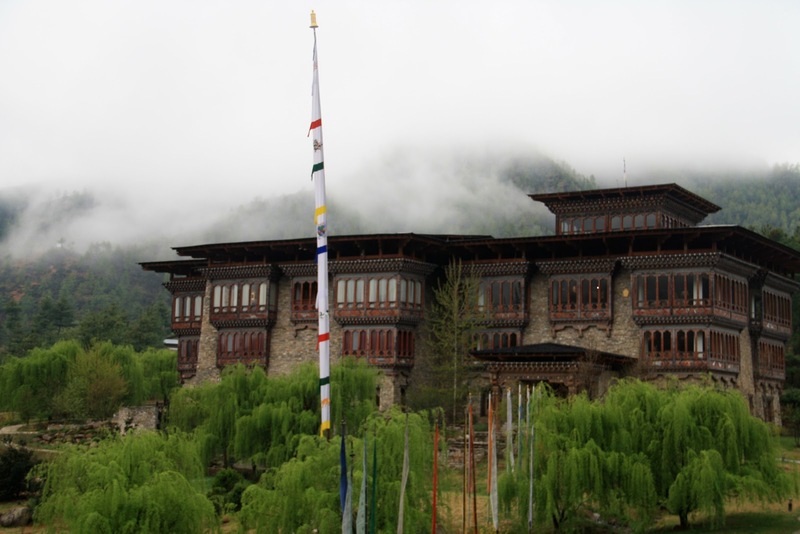 In Bhutan, the all pervading sense of tranquility has to be experienced. The easy pace of living is palpable. You sense it in their total and complete attention to what you are saying, their un-hurried demeanor, patience writ all over their face, the way they greet their acquaintances and friends and so on. I observed our guide, Kado, meet many a friend with great warmth and genuine-ness. There was no hurry and always some time for a hug, a warm handshake and a few heart-felt words. At the ‘Tsechu’, the local festival I visited at Paro Dzong , there were almost 2000 people – yet no sense of rush or chaos. Warmth, leisure , laughter , consideration for others, calm – the space spelt all this and more. Did I see people staring at phone screens? Or talking incessantly? Or hurrying to wrap it all up? No. And oh yes, the staunch belief in re-incarnation. So what could not be completed in this life can always be done in the next. Its not a country in a hurry. Bliss. 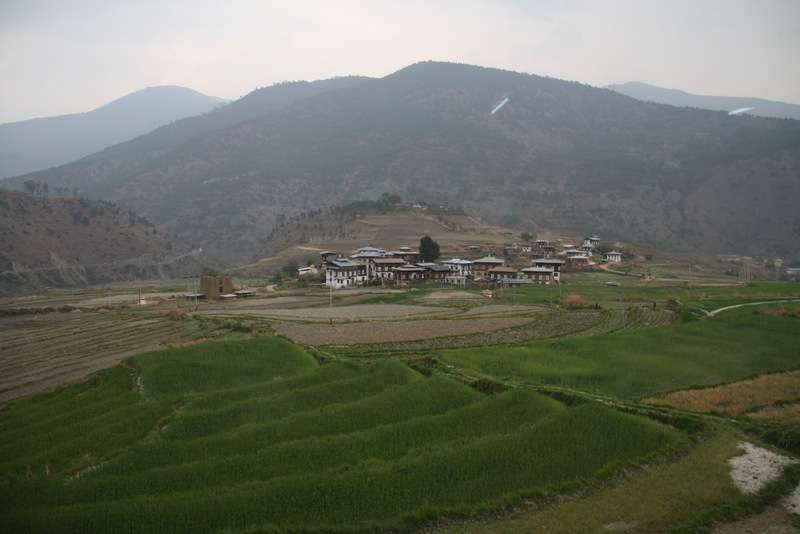 75% of Bhutan is still under forest cover and the Bhutanese take environmental protection very seriously and with a sense of a personal responsibility. 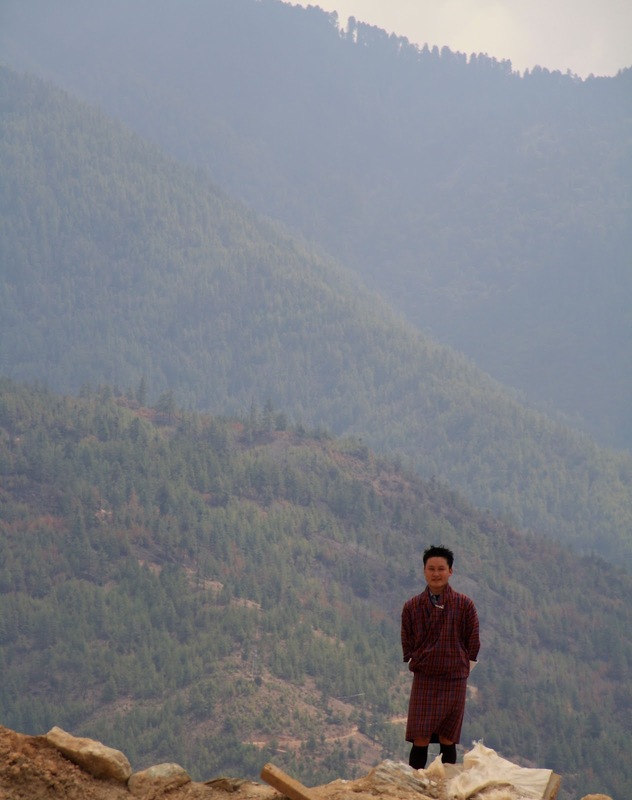 Bhutanese seem to have a reverential relationship with nature. The emerald paddy fields, snow-tipped peaks kissing the clouds, rivulets and streams gurgling by- the physical landscape lends its timelessness to the people, who live more by the seasons than by the clock. Bi-cycling is being promoted by the monarch himself , His Majesty Jigme Khesar Namgyel Wangchuk, as a tool for preserving the fragile , yet one of the most abundant eco-systems in the world. Nature nurtures, soothes, brings a bigger perspective to living, gently reminds us of our own fragility, and how inconsequential our inner turmoils really are. It reminds us that we are on a journey that would one day get over. 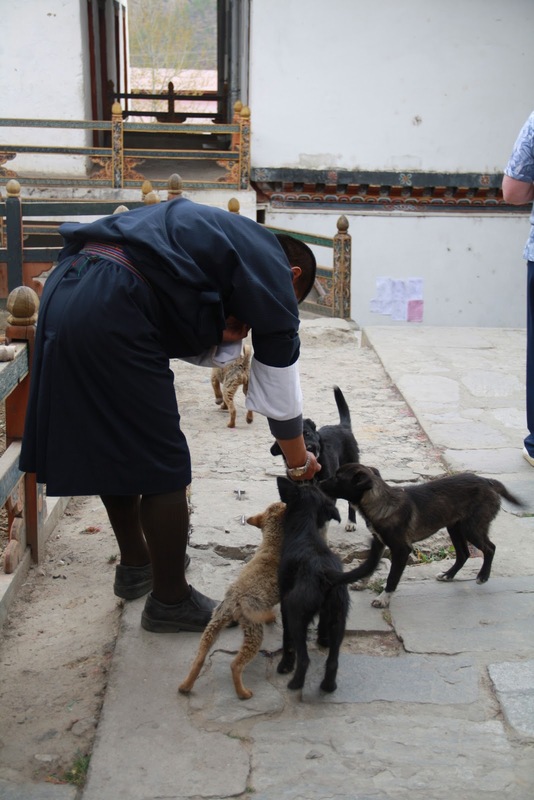 Compassion is omnipresent in Bhutan. It seems to be a part of their genetic make-up, reared as they are on Buddhist beliefs and practices. 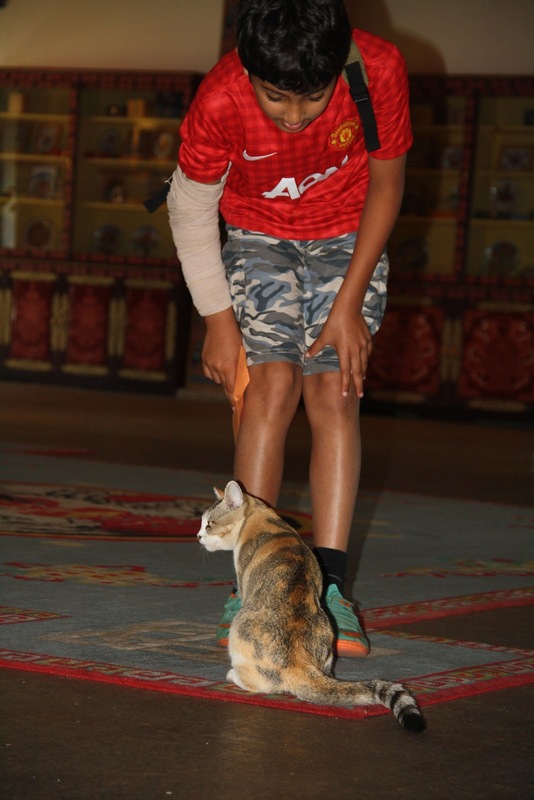 At the luxury hotel we stayed in at Paro, a cat made its way to the elegant lobby, moving amongst guests. The staff smiled benignly , the cat could do as it pleased, it would not be hurt or shooed away. 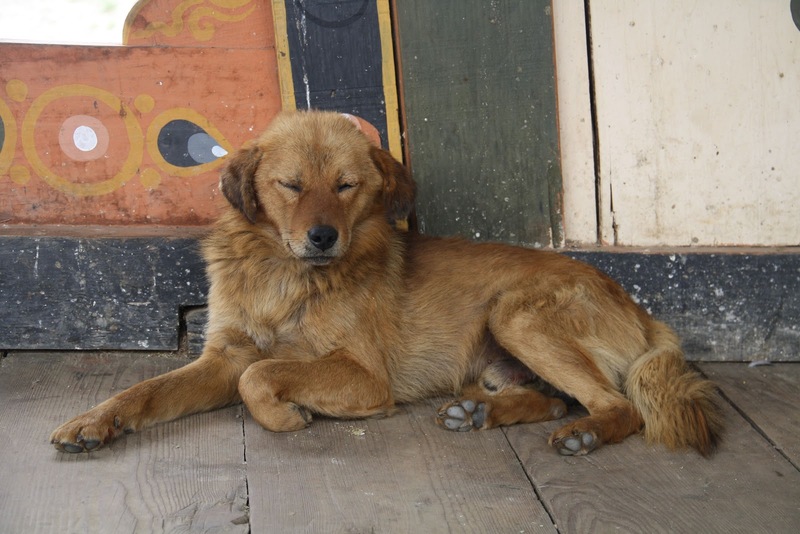 At the Painting School, a teacher petted a few stray puppies lounging in the school compound. This large-heartedness extends to people, guests, tourists, friends , family. People can be seen sharing ‘Doma’ ( the local ‘paan’), generously offering it to people they have only just met. Our guide, gifted a couple of books to the kids as we parted at the airport. For hard nosed, city bred people, not used to such open generosity from near strangers and viewing everything as suspect, the selfless gesture was extremely refreshing! 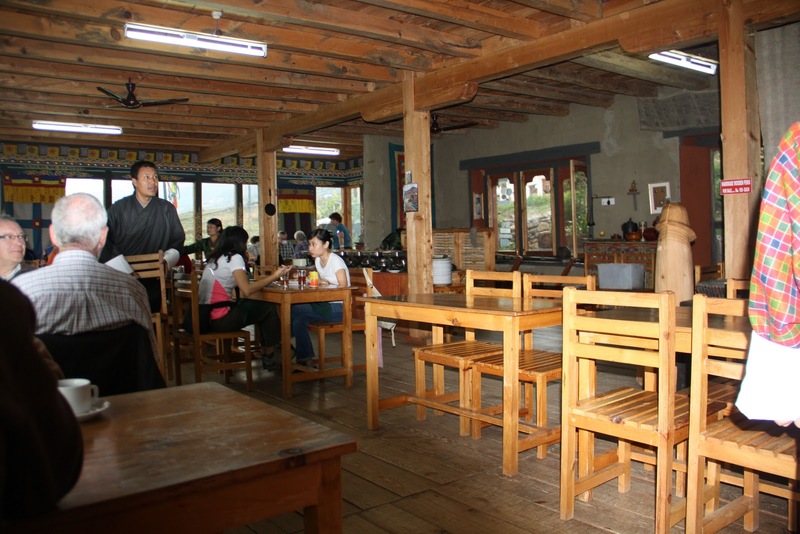 Message from Bhutan : Open up your heart and feel the love all around ! How does one of the least developed country in the world rank the happiest in Asia and 8th happiest in the world? How do people manage without traffic lights on the roads of their capital? Why do they live by their stories, irrespective of glaring logical gaps? Maybe because simplicity does not necessary mean unwise. Bhutan is a wise nation – not an obvious contender for the ‘most developed’ , neither in the race for it. Its amenities , creature comforts and the obvious means of judging ‘development’ are still in infancy but it would rather have its natural resources thrive than sacrifice them in the name of ‘development’. Collective growth is given precedence over individual ambition. Interconnectedness between people, between people and nature is honored and revered. Culture is carefully treasured. The city streets are full of people in their national dress – the ‘Gho’ for men and the ‘Kira’ for women. Its a simple country, but wiser than many. 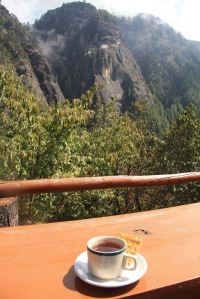 Message from Bhutan : Discover the joys of keeping it simple! Considering the way most ‘developed’ countries are evolving, this little Shangri-La may just have the last laugh!